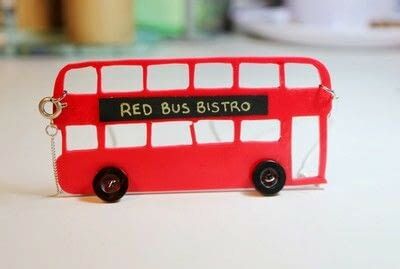 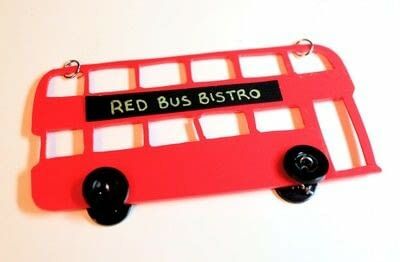 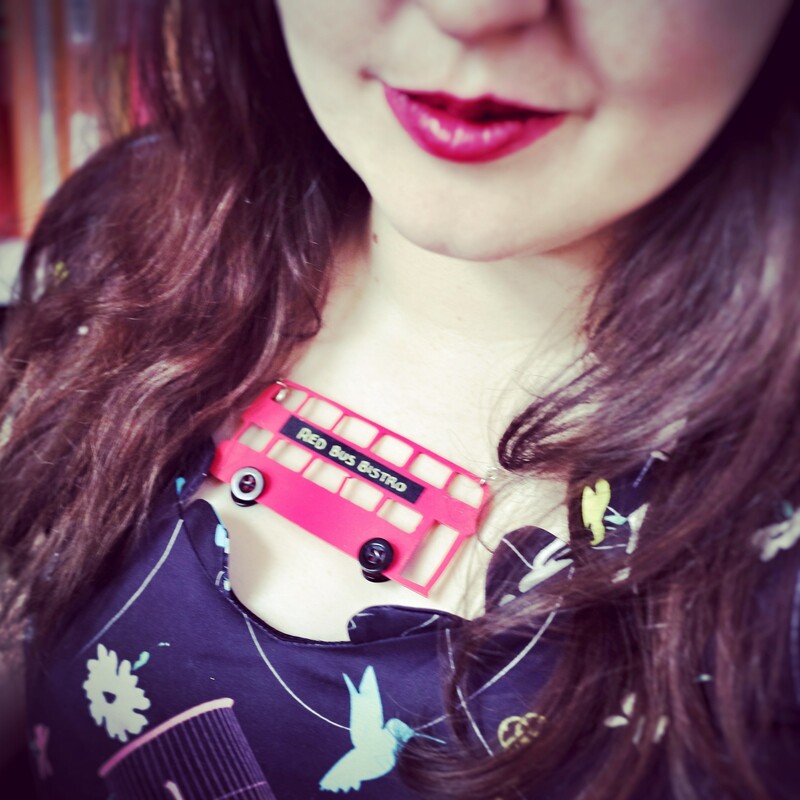 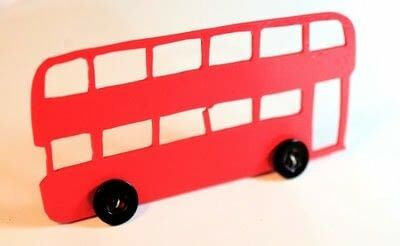 Hit the road with a London inspired vintage bus necklace! 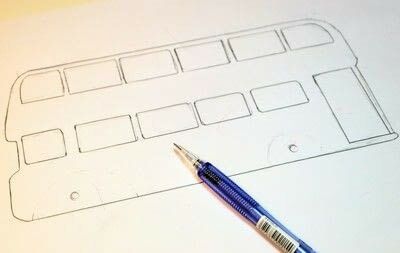 Print or sketch out the design onto paper and cut out. 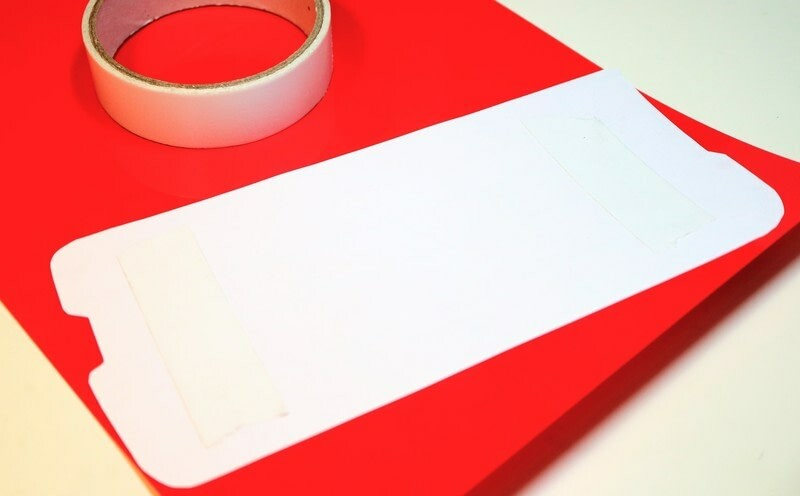 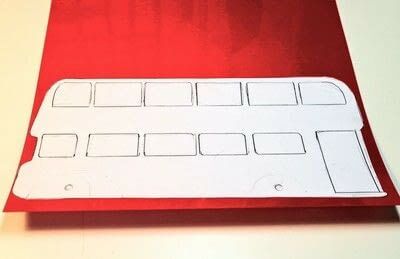 Stick some double sided sticky tape to the back of the template. Tape down to the red shrink plastic. 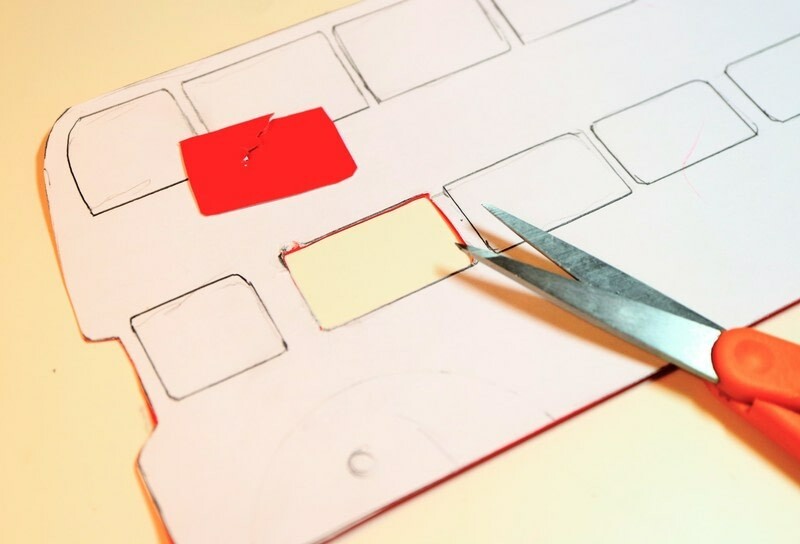 Carefully cut out the windows and door using a cutting knife or scissors. 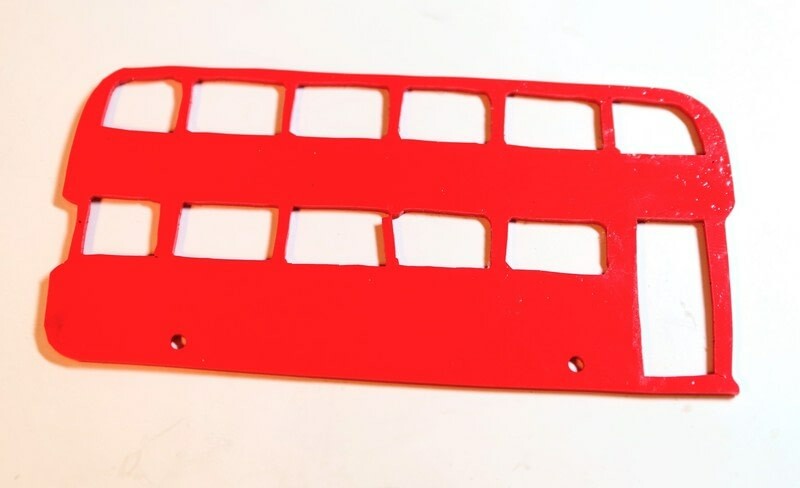 Punch two holes in the bottom of the bus so you can attach the wheels. 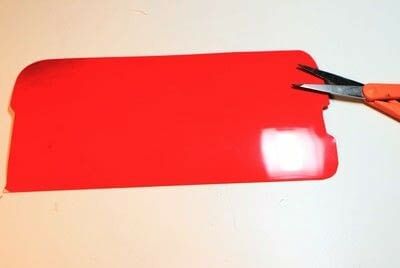 Heat the shrink plastic in the oven until small and then press flat under a book. Pick out four small black buttons for the wheels. 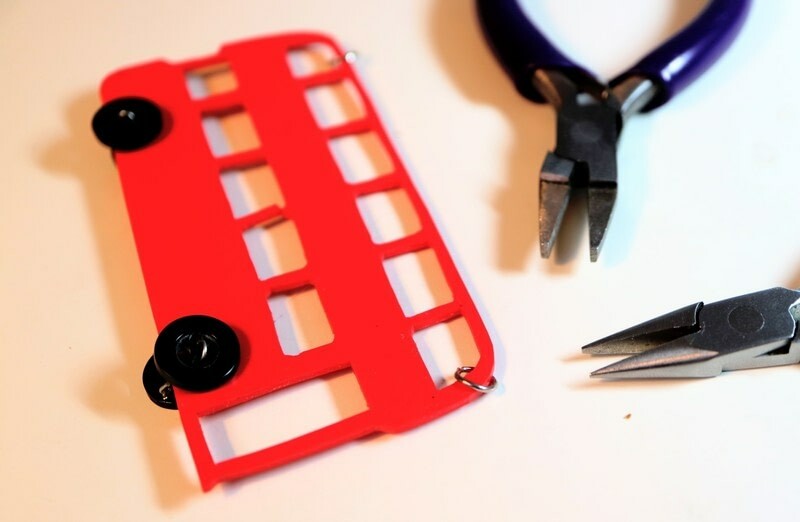 Snip a short length of jewellery wire. 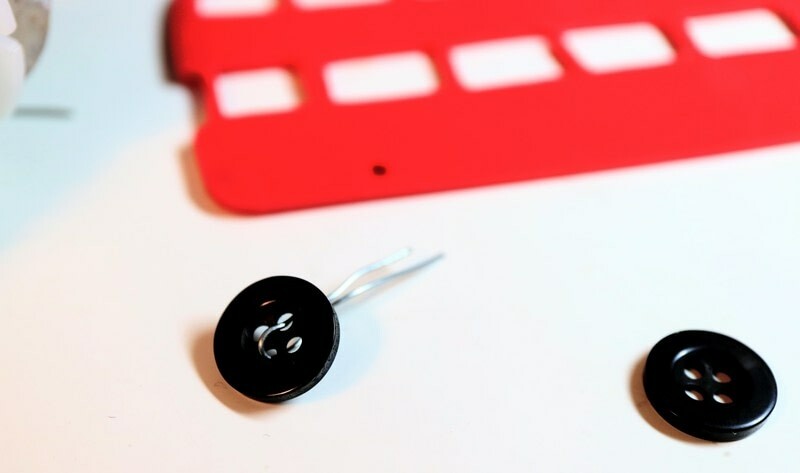 Bend the wire in half and slip through two holes of the first button. Thread the wire through a hole on the bottom of the bus and then attach a second button at the back. 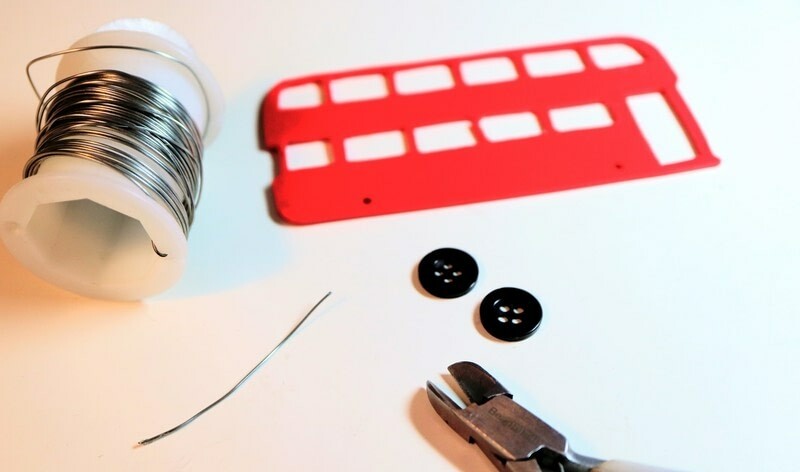 Twist the wire together and trim off any excess. Attach the other two buttons in the same way. 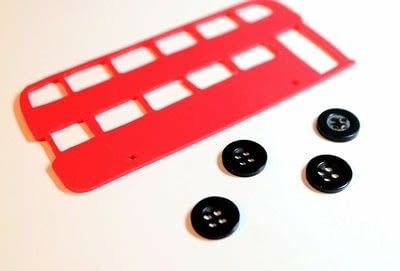 Attach jump rings through the top front and back window. 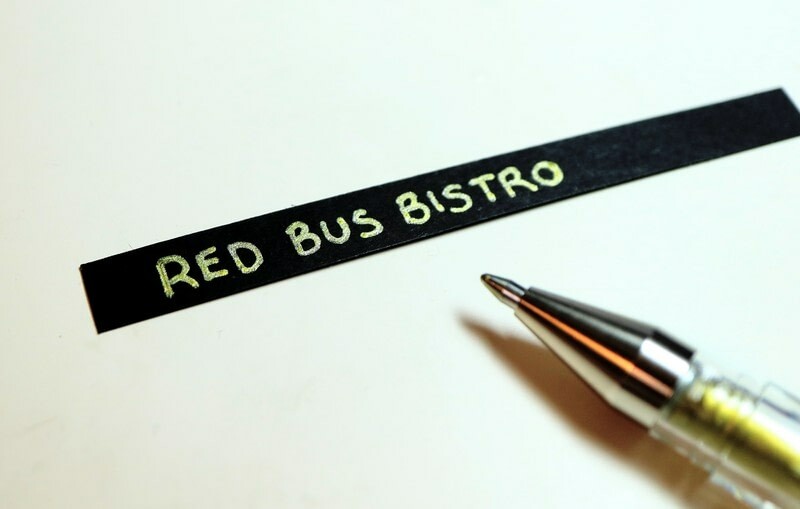 Cut a length of black card thin enough to fit along the middle of the bus and write on a destination. 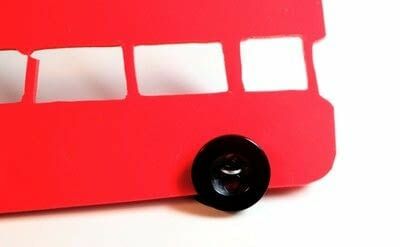 Glue to the front of your necklace. 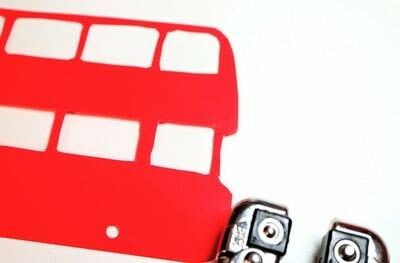 Attach a necklace chain to the two jump rings and it's ready to wear!